Gambling has a long history, even if its mainstream boom only happened a couple of decades ago; people are gambling since the beginning of time. In the past, most games only happened in smaller circles, regardless if those were in the streets, or the bars of the big cities. Because there was no central place where people could gather and gamble, this activity was never that big amongst regular people, until the idea of gambling houses got born. As soon as casinos started popping up around the world, starting with Italy in the 17th century, more and more people started to gamble for fun. However, the world recognition of this sport only happened once casinos started to get built in Las Vegas, Nevada. After the ban on gambling was removed in 1930, casinos started to take over the desert, and create what we now know as The Vegas Strip. 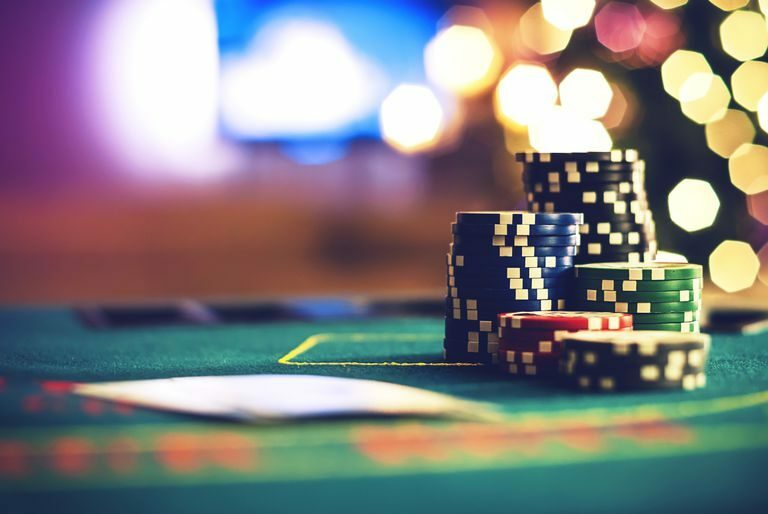 In this whole time, from the beginning of human civilization possibly, to this present moment, the casino games evolved a lot, and to celebrate the past of the gambling world, and these games, we put together a list with the most famous casino games in the world, and a few words about their history. Poker is undoubtedly one of the most famous casino games in the world. The popularity of Poker is, possibly thanks to the fact that it is a game rather easy to learn, that can give you plenty of fun, and challenges to overcome if you try it out. It is easy to learn the basics of poker but, it takes ages to master this game truly. Even if people centuries ago used to play different card games that resemble our poker, its popularity only really boomed in the 70s, once the World Series of Poker tournaments became available for the broad public. In Poker, there are a few rules that you need to learn in order to be able to play, besides memorizing all the hands, which are the same across all the versions of Poker. Talking about versions, there isn’t just one type of Poker; the most famous one is Texas Hold’em, but, there are more like Omaha, Omaha Hi/Lo, Razz, amongst many others. This mechanical game only dates as back in time as 1887 or 1891, depending on which source you consider to be true. Some folks consider that Charles Fey built the first slot machine in 87, while others think that the Sittman and Pitt Company were the first in 91. Regardless of who was the first, those people made history and created a fun game that is now popular in the whole world. At first, the slots got introduced in the big casinos only as an experiment but, the people liked playing them so much that the casino owners decided to keep them. The popularity of the slot machines is probably thanks to the simplicity of this game. Anybody can play the slots and have a great time because this game doesn’t require any special skills or complicated rules that you need to learn. The origin of Blackjack is unclear even today, and even if the game was probably based on other games from the past, the French were the first to play it sometime in the 18th century. They used to call it “Vingt-et-un” which is the translation for “21” the original name of the game, that later got replaced with “Blackjack” in some parts of the world thanks to the American players. The game started to gain popularity in Europe but, somewhere around the beginning of the 20th century, it started to get spread in the USA. As soon as gambling got legalized in Nevada, casinos started to adopt this game, and make it mainstream to the masses later. Same as with other games, the origin of Roulette is pretty unclear, most sources claim that this game was invented in France, in the late 18th century but, its origins might come from other parts of the world. The Chinese but, also the Roman and Greek soldiers were playing similar versions of Roulette, but there is simply too less information on the matter to give them all the credit. Nevertheless, Roulette, as we know it today, comes from France where they used to play a game that is almost as identical to the one we are playing today. The game started to get introduced in French casinos in 1796 but, also, later in gambling houses around Monaco thanks to Prince Charles of Monaco. The fact that you need to know slim to no rules to have fun playing this game surely contributed to its popularity. The first real gambling house that resembles a lot with the casinos we have today appeared in Italy in 1638, and it was called Ridotto. In this early version of a casino, one game was highly popular, and that was Baccarat. Now, the origin of this game is unclear, some sources say that it appeared in Italy in the middle ages, and others consider that it first appeared in France in the 15th century. But, regardless of its origins, Baccarat is a game with a huge history, and even if its shape might have changed a bit throughout the years, the core of the game remained the same. Since it’s so fun to play, it’s popular even nowadays. Even if centuries ago the only way of playing casino games was if you were actually present into a casino or playing with somebody in the real world, now you have a lot more options. The technology has evolved so much that you can easily play any of these games in an online casino such as Gametwist Online Casino without having to leave the house. It’s mesmerizing how much you can now get just from a few clicks; the future of the gambling world is looking exciting. As soon as the technology, in general, will evolve even more, the gambling world might witness another exciting revolution.